George W. Houghton married Mary Ward in circa 1893 mar 7 years in 1900 census. George W. Houghton married Merle Coil in circa 1918 age 21 and 24 at first marriage. Chester Marvin Crebbs married Hazel Shelton in Nov 4, 1920. Hazel Shelton married Chester Marvin Crebbs, son of Charles A. Crebbs and Eunice Grace Houghton, in Nov 4, 1920. Hazel Grace Houghton married Everitt Weinrich. Everitt Weinrich married Hazel Grace Houghton, daughter of George Carlisle Houghton and Emma Marie Nelson. Gladys Irene Houghton married Benjamin G. Marten in Jun 15, 1932 at Kackley, KS, USA. Benjamin G. Marten married Gladys Irene Houghton, daughter of George Carlisle Houghton and Emma Marie Nelson, in Jun 15, 1932 at Kackley, KS, USA. Minnie May Nelson married Charles Mortimer Houghton, son of William Dye Houghton and Martha Jane Mayberry, in Aug 22, 1894 at Norway, Republic, KS, USA. 1940 Census 1940 Concordia, Cloud Co., KS, USA, age 44, credit association, secretary and owner? Elmer Lowell Houghton married Nell Jeanette Rintoul in Jul 25, 1920 at St. Louis, St. Louis Co., MO, USA, he 25, she 30. Nell Jeanette Rintoul married Elmer Lowell Houghton, son of Charles Mortimer Houghton and Minnie May Nelson, in Jul 25, 1920 at St. Louis, St. Louis Co., MO, USA, he 25, she 30. Ruth Vivian Houghton married Hans Emil Anderson in Oct 5, 1932 at Township, Republic Co., KS, USA. 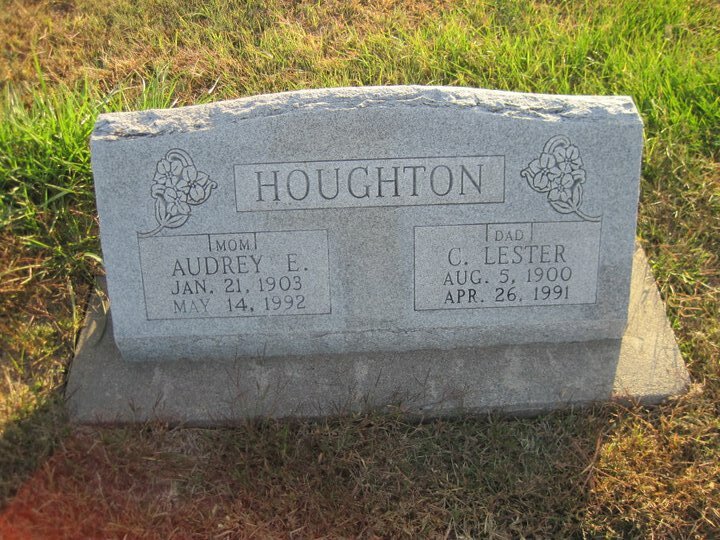 Iva Gertrude Houghton married John Conrad Benson in Aug 1, 1928 at Norway Twp., Republic Co., KS, USA. Charles Lester Houghton married Lola Velleta Estella Bishop in Jul 28, 1923 at Scandia, KS, USA. Charles Lester Houghton married Audrey Fox Rose in Jun 20, 1958 at Topeka, KS, USA. William Howard Houghton married Donna Hagan. William Howard Houghton married Donna Lou Haag in Aug 29, 1948 at Holton, KS, USA. William Howard Houghton married Dorothy Daily in Dec 22, 1966 at Detroit Lakes, MN, USA. Hans Emil Anderson married Ruth Vivian Houghton, daughter of Charles Mortimer Houghton and Minnie May Nelson, in Oct 5, 1932 at Township, Republic Co., KS, USA. John Edward Anderson married Mary Louise Ficke in Mar 21, 1959 at Manhattan, KS, USA. John Conrad Benson married Iva Gertrude Houghton, daughter of Charles Mortimer Houghton and Minnie May Nelson, in Aug 1, 1928 at Norway Twp., Republic Co., KS, USA. John Robert Benson married Mary Virginia Anderson in Dec 29, 1952 at Roseburg, OR, USA. Ruth Elizabeth Benson married Robert D. Barrow in Dec 16, 1953 at Roseburg, OR, USA. Lola Velleta Estella Bishop married Charles Lester Houghton, son of Charles Mortimer Houghton and Minnie May Nelson, in Jul 28, 1923 at Scandia, KS, USA. Audrey Fox Rose married Charles Lester Houghton, son of Charles Mortimer Houghton and Minnie May Nelson, in Jun 20, 1958 at Topeka, KS, USA. Vivian Gertrude Houghton married Herman Carl Almon Jr. in Feb 1, 1945 at Santa Monica, MA, USA. 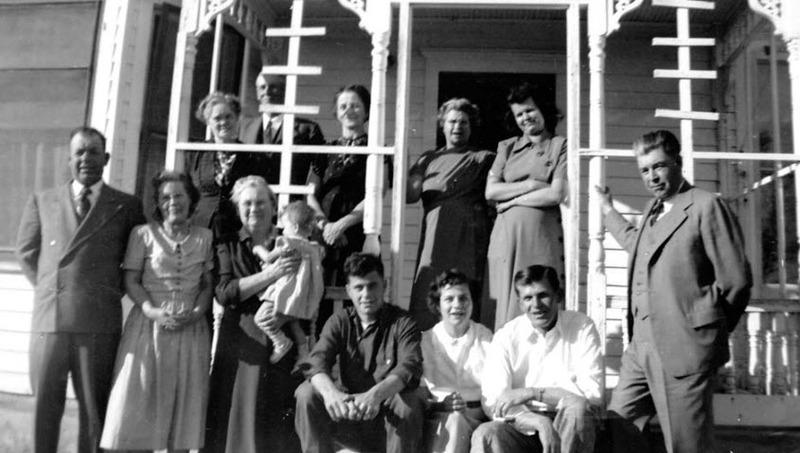 Madeline Houghton married Clarence Dale Demars in May 20, 1947 at Concordia, Cloud Co., KS, USA. Dorothy Faye Houghton married Darrell Keith Sharpe in Dec 10, 1950 at Jamestown, KS, USA. Audrey Irene Houghton married Edward Lee Hayden in Jun 12, 1949 at Jamestown, KS, USA. Charles Mortimer Houghton married Della Lucille Abram in Dec 25, 1952 at Randall, KS, USA. Rosalie Velletta Houghton married Stanley Grounds in Aug 15, 1954 at Jamestown, KS, USA.